Our auditions are usually held the last Saturday afternoon of the previous production, with make-ups, if necessary, the following week. We run a 6 week rehearsal schedule and a two weekend run of every production except the monologues, which run a single weekend at the end of July or beginning of August. Check our audition page for the next auditions. We're open to all potential performers aged 13 and older, sometimes 12 if they're exceptional and we try to place as many young people in lead roles as appropriate for the cast. It depends who tries out and who fits what parts. Come on out. It's fairly painless. The Contemporary Youth Arts Company was originally founded in 1995 by Dan & Penny Kehde and a group of artistic young people to provide teenagers in the greater Charleston area hands-on access to the performing arts in a drug free environment. Composer Mark Scarpelli joined the organization soon thereafter, composing original scores and becoming acting music director for the nearly 200 musical performances. 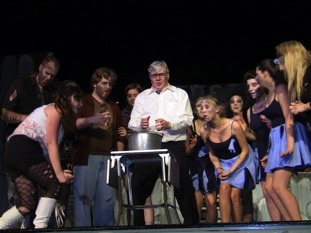 Since it’s inception, CYAC has produced over 500 main stage performances as well as toured the social action plays “Gone Tomorrow”, “The Girls Room”, “Love Is Not An Angry Thing”, “Vinnie B Doesn’t Go Here Anymore”, “Alice.Com” and “The Forever Clause”, “Four Young Women Tell The Truth About Eating Disorders” and “A Predator Among Us” to over 50, 000 students and community members across the state. This season, CYAC will perform seven productions including premieres of one new opera, a new play, and a new monologue collection, as well as the annual production of the rock opera “Mary.” Main stage productions are currently produced at the WVSU Capitol Center Theater, 123 Summers Street in Charleston. CYAC is open to all young people aged 13 and above, but with special emphasis on giving roles to younger people when possible. Open auditions are held for every main stage production while actors for the social action plays are often chosen from the regular CYAC participants in the programs. 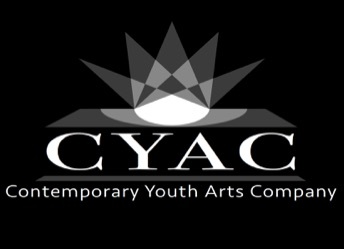 CYAC continues to be a totally independent arts organization completely willing to pay its fair share of taxes back to the community which has supported it for the past 20 years. CYAC receives financial support in the amount of less than 10 percent of it’s annual budget. Operating expenses are met from ticket sales alone, and are often offset by the generosity of the managing staff.